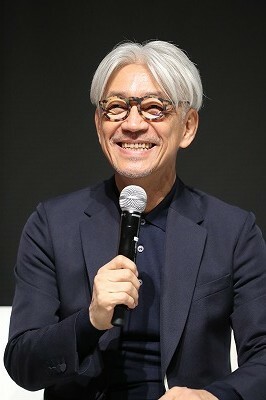 “Am I a samurai?” asked musician-composer Ryuichi Sakamoto, appearing on stage for a talk session on November 1, in honor of his being named the recipient of TIFF’s 4th SAMURAI Award. 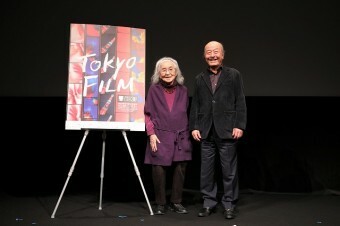 Since TIFF is a film, rather than a music, festival, they immediately plunged in, chatting on an extensive range of soundtrack-related topics, from musical grammar and overly demanding directors, to Sakamoto’s evolution as a film composer, and his conviction that music can “save us” in these challenging times. 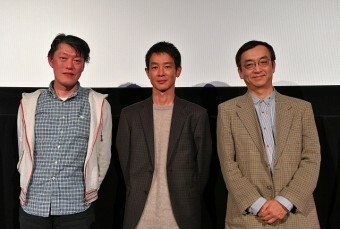 But the focus of the talk was of course the brilliant Sakamoto himself, and as Konuma prodded him for behind-the-scenes stories about some of his most famous soundtrack projects, the audience was treated to footage — with the musician’s award-winning scores — on a large screen above them. 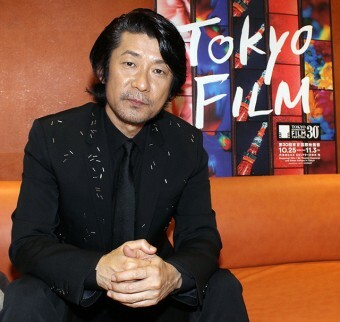 Sakamoto recalled that his earliest memories of film music were related to Nino Rota’s scores for Federico Fellini’s La Strada, which he’d heard on the radio and been enticed to see in the theater, and for Purple Moon. “And also The Third Man,” he added, humming the familiar lilt. 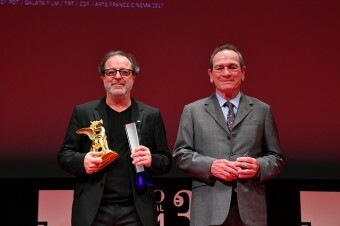 When working on Bernardo Bertolucci’s The Last Emperor, he remembered, “I took a synthesizer to London to meet with the director, and suggested that it be used for music throughout the film. But he rejected the idea completely. And then David Byrne got to use synthesizers in his compositions [created simultaneously for the film], so I think that was cheating! But the audience knew better. 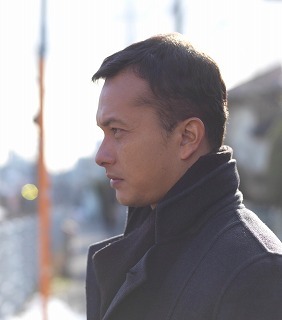 Without the genius of Ryuichi Sakamoto’s compositions for cinema — as well as for the music industry as a whole — film would not speak to us with our hearts, as well as our minds.